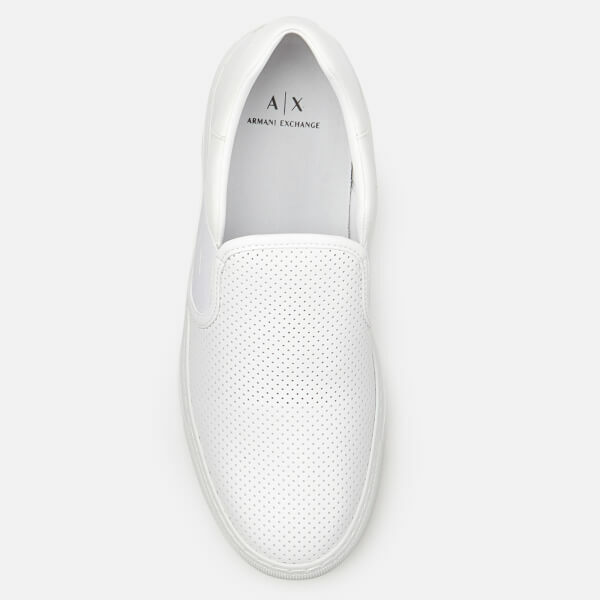 Men’s white slip-on trainers from Armani Exchange. 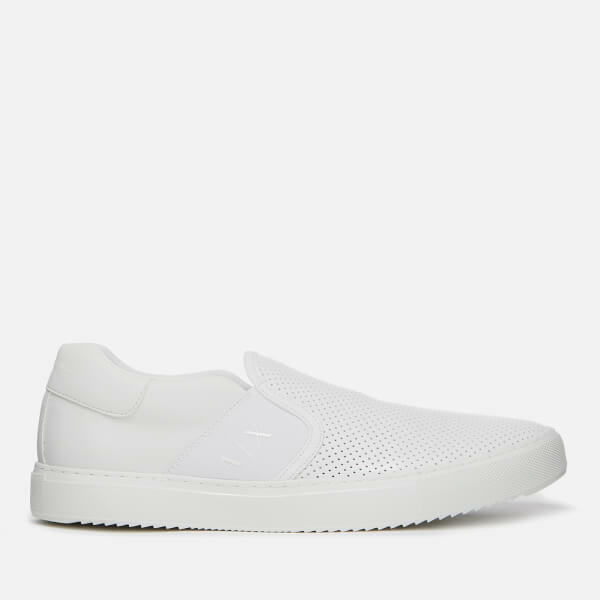 Crafted with leather-look uppers, the slip-on sneakers feature a tonal logo print on the elasticated side gores, perforated detail to the front and a tonal logo print to the heel. 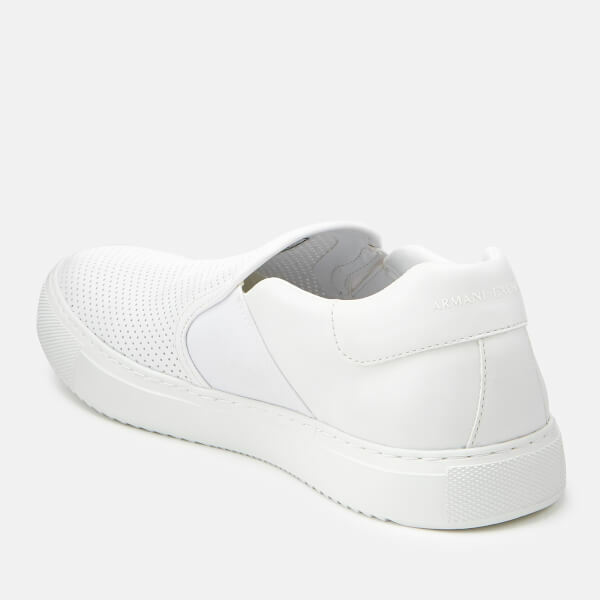 The sleek trainers sit on a tonal sole with a ripple textured rubber outsole for added traction. Complete with tonal topstitching and a logo print to the footbed. Upper: Synthetic. Lining: Synthetic. Sole: EVA.